If you are preparing for UPSC IAS Civil Services Examination, you have just landed on India’s Largest Network for UPSC IAS Preparation. If you have the UPSC IAS Civil services dream, we have the right Guidance for you. With more than 3000+ successful Members in the Indian Administrative Service, Indian Police Service, Indian Foreign Service, the Indian Forest Service and other Allied Services of the Union, we are the most meaningful community for getting into the India’s Premier Civil Services. If you have the dream, we have the right Guidance for you. +200 more selections. Click here for the entire list of selected students from ForumIAS. Strategy: How to Score 150+ in UPSC Prelims? Motivation: सिविल सर्विस आखिर क्यूं? Why Civil Services? Did not clear Prelims – What next? How to write a great essay for the IAS Mains? Not sure, how to begin? 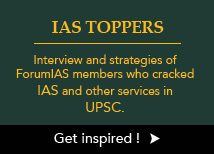 You can visit our Toppers Section where Toppers have listed how they prepared for Civil Services Examination and got into IAS, IPS and other Services. IAS RANK 38: Abhimanyu Gahlaut, 1st Attempt, Economics Optional : Abhimanyu told us he religiously followed ForumIAS member @crazyphoton Gaurav Agrawal ( IAS Rank 1) strategy for doing his economics optional. IAS RANK 36: Abhinav Goel, 3rd Attempt, Public Administration Optional : Abhinav has shared his story with us. IAS RANK 107: Nikhil Pathak, 1st attempt, Sociology Optional – ForumIAS member secured 107 rank with Sociology Optional and shared his stargey with us. IAS RANK 156: Saurabh Kumar Agrawal, 3rd Attempt, Geography Optional – Saurabh secured Rank 156 with Geography as an optional at a time, when geography was supposed to be not scoring. Saurabh is an ardent forumias follower and a very active member. IAS RANK 198: Shilpi, 2nd Attempt, Mathematics Optional – Shilpi has secured 198 rank with Mathematics Optional. She shares her preparation story with us. She is also a student of our Mains Test Series. 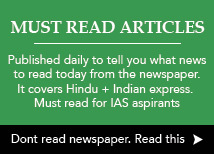 IAS RANK 103: J Snehaja, Hyderabad Girl , 206 Marks in Interview – An ardent follower of forumias intiatives, Snehaja has joined the Indian Foreign Service. RANK 275: Vikas Jakhar, 3rd Attempt, History Optional – Vikas cleared with History Optional. Here is his story. RANK 87: Mukul Kumar Gupta, 3rd Attempt, Public Administration Optional – One of our most ardent followers, Mukul secured it in his third attempt. Mukul will be joining IAS in Bihar Cadre this year with his stellar performance. RANK 91: Rakesh Kumar Minhas , 2nd Attempt, Medical Science Optional – With Medical Science Optional, Dr Minhas shares his story. Rank 49 – IFoS Topper From ForumIAS Vipul Pandey’s Success Story – Vipul is a very active follower of ForumIAS.com. Here is his story. 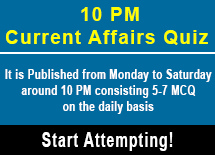 IAS Rank 9 : Ashish Kumar : General Preparation Guide – Ashish, popularly known as ashes on ForumIAS has secured Rank 9 in IAS 2014, and will be joining as IAS , UP Cadre. He shares his strategy here. I am a beginner. What can I do today to prepare for UPSC IAS Exam Online? 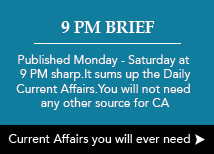 In case you are a beginner for IAS. The first thing you need to do is to read the Newspaper daily. Every Single Day. Even after the Mains until you get through. 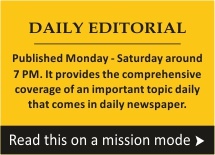 We come up with a daily listing of Today’s Newspaper’s Must Read Articles of the Day (click ), so that you can cover the newspaper daily, without fail. The news listing is posted everyday in the morning. 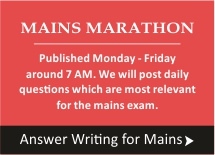 For Mains 2017 Candidates, we have the Mains Marathon : an exhaustive Mains Answer writing initiative, where we post questions everyday and candidates write answers. Click here for more info. We shoot off questions everyday that are relevant for the Mains Examination. 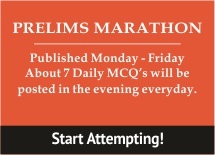 You can join us in our Mains Marathon initiative, where we post upto 5 Questions everyday on our Study Portal . You can answer them by uploading your answer in the comments section. You can know more about Mains Marathon 2017 . You guys are cool. How can I help? You can also help by Contributing Articles or by simply participating in our initiatives such as Mains Marathon. If you really really like us, you can join our Prelims Test Series to sponsor the community. We are trusted by more than 5000+ students who have enrolled for our Prelims and Mains Test Series till date. It also helps us buy coffee. And help us meet our goal of an Ad Free Platform by 2018 or before.